You may not be able to pronounce it, but Gesamkunstwerk is a boutique you should know about. 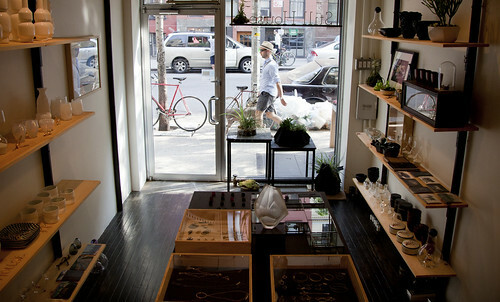 Nestled on a corner across Houston Street on the Lower East Side, this boutique voted “Best New Indie Shop” by TimeOut NY is a go to spot for locally made, conversation worthy pieces. Cooper Union grad Alexandra “Allie” Kuzyk mans the store most days and her background in visual merchandising and design makes her an expert in spotting the “next big thing”. The Local sat down with Allie to discuss why she chose her store’s unpronounceable name, where she goes out in the East Village and why she chose the Lower East Side as her shop’s home. Where did you come up with the name Gesamkunstwerk? “Werk” and our website is cantspellit.com.